But does that bear fruit in practice? To find out, I examined three masters of branded content that win by proudly putting their name on their stories. For a 160-year-old company, American Express manages to keep a fresh approach with their brand publishing strategy, best exemplified by the success of OPEN Forum, their online platform for small business owners. 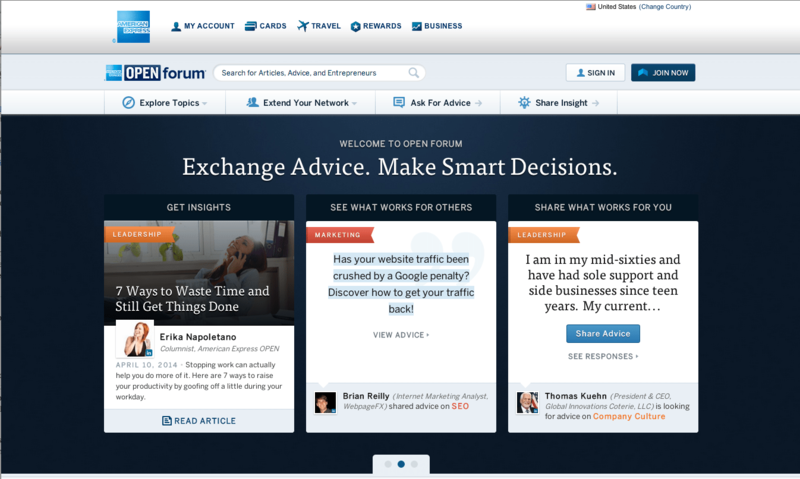 At first glance, OPEN Forum looks like a standard entrepreneurship blog: sleek design, contributor headshots, and comments and questions from readers. But it’s also hard to miss the fact that all of this is being brought to you by American Express. In fact, Amex is so up-front about sponsorship of the content, they brand their promotional materials within their own website—separating it from purely editorial content. Thus far, customers have bought into the clarity and honesty that comes from American Express’ transparency. For those familiar with Red Bull, the brand’s logo embodies action, adventure, and sports. This high-energy vibe is consistently present throughout Red Bull’s oeuvre. Since 2007, Red Bull has produced 50 sports and adventure films, a wildly popular YouTube channel, a lifestyle app, a record company, and a magazine, The Red Bulletin, with over 5 million subscribers. In almost all Red Bull Media House productions, regardless of the platform, the company’s signature red, gold, and blue logo is prominently displayed. The branding can be seen in the upcoming ski documentary Days of My Youth, produced by Red Bull Media House and MSP Films. Almost every aspect of the film and the website carries the Red Bull mark. The featured athletes wear and use Red Bull branded gear; even the video play button incorporates the logo. In addition to the logos, viewers will also notice Red Bull’s breathtaking aerial shots of extreme skiers sliding down the slopes and extreme close-ups that put you right in the action. The visuals are so crisp you may find yourself ducking in a computer chair. The buzz around the film is to be expected, especially since Red Bull’s previous ski documentary, McConkey, premiered at the 2013 Tribeca Film Festival and currently sports an 8.4 rating on IMDB. In other words, a satisfied audience will keep looking out for that little red bull charging ahead. According to Dove Skin Global Brand Development VP Fernando Machado, when you say the word “dove” without context, the first thing people think of is soap. Not birds. Not chocolate. Soap. The branding in the video appears subtly: The viewer sees Dove’s blue and white color scheme weaved into wardrobe choices, set design, and text presentation before the company logo appears at the end. And, of course, “Dove” is in the title of the video. With just the right amount of branding, Dove is able to make a strong impression on their audience. Less than a year later, they followed up with “Selfie,” another documentary about the perception of beauty, which debuted at the 2014 Sundance Film Festival. The messaging in both videos is strong enough for people to associate “real beauty” with the brand. And this effective strategy has been Dove’s approach for how to brand beauty for close to a decade. 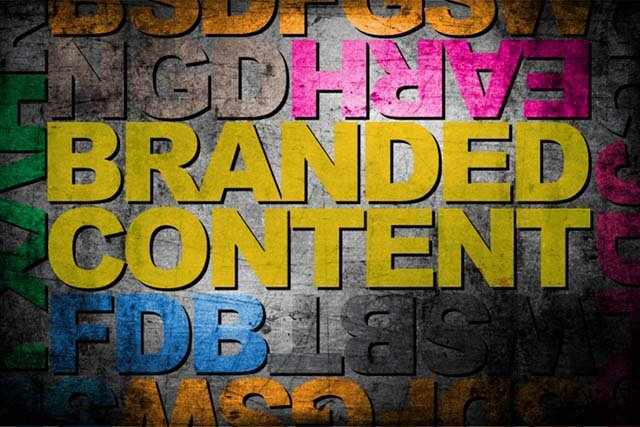 American Express, Red Bull, and Dove treat their branded content with the same level of quality and effort they’d give to any tangible product or service in the marketplace. And they pair that commitment to intelligent storytelling with their recognizable logos, company colors, and visual styles. More importantly, they follow-up their commitment with proportional effort and attention to details. This is what gets them the predictable results. These three companies have more than just buyers and customers; they have large, loyal followings eager to check out whatever they’ll come up with next. And best of all, they get full credit for serving up great content.